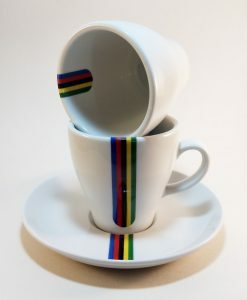 Simple but timeless set of vibratly coloured cycling world championships cycling cups. 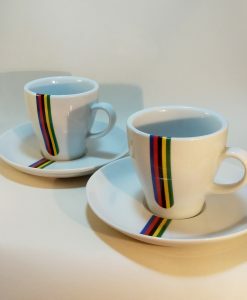 Magnificently finished set of 5 cups and saucers in thee legendary world championships colours. 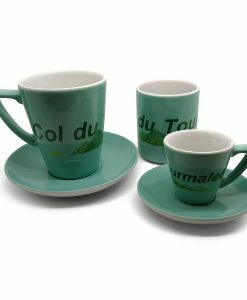 Another lovely cycling gift in the Altitude CS range. 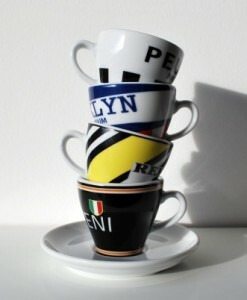 Authentic, delicate bone china. 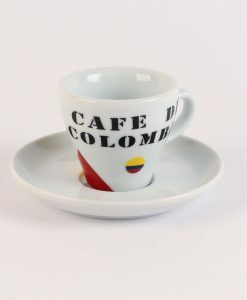 Consequently the cup and saucer have an elegant, classy look and feel. 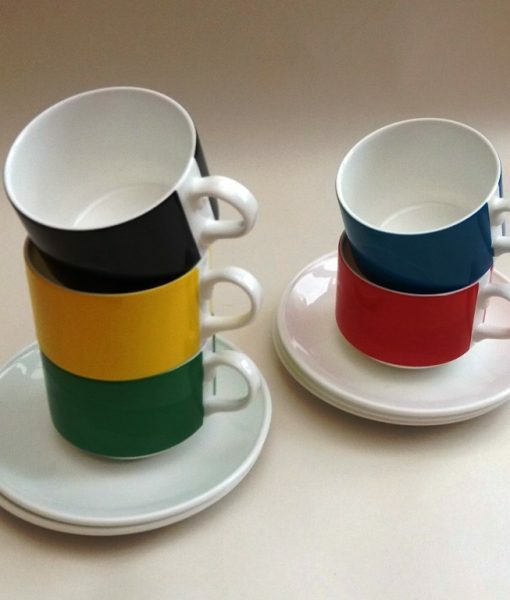 Features 5 cups with saucers, 1 in each colour (red/blue/yellow/green/blac. Subsequently each design stacks together to create the World Championships ribbon design. 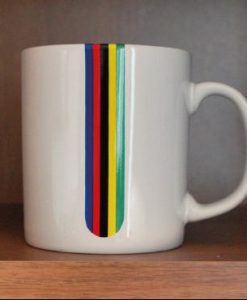 Hand crafted in the UK; hence the perfect vessel for your post ride tea. 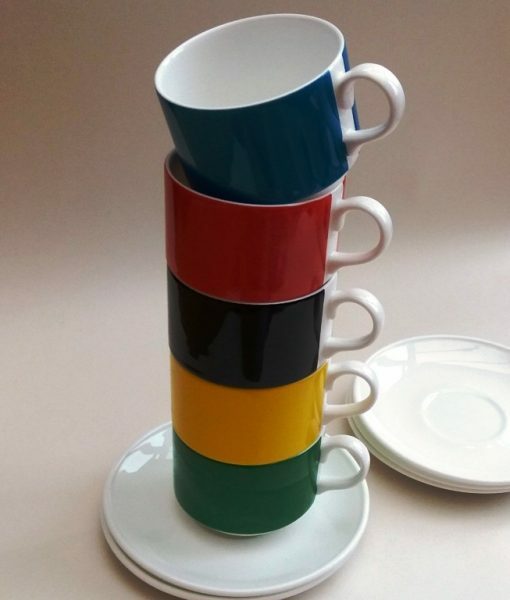 Each magnificent cup is 170ml/6oz measuring 6cm in height, 80mm in diameter As a result the cup is perfect for tea, coffee, hot chocolate and other delicious drinks. 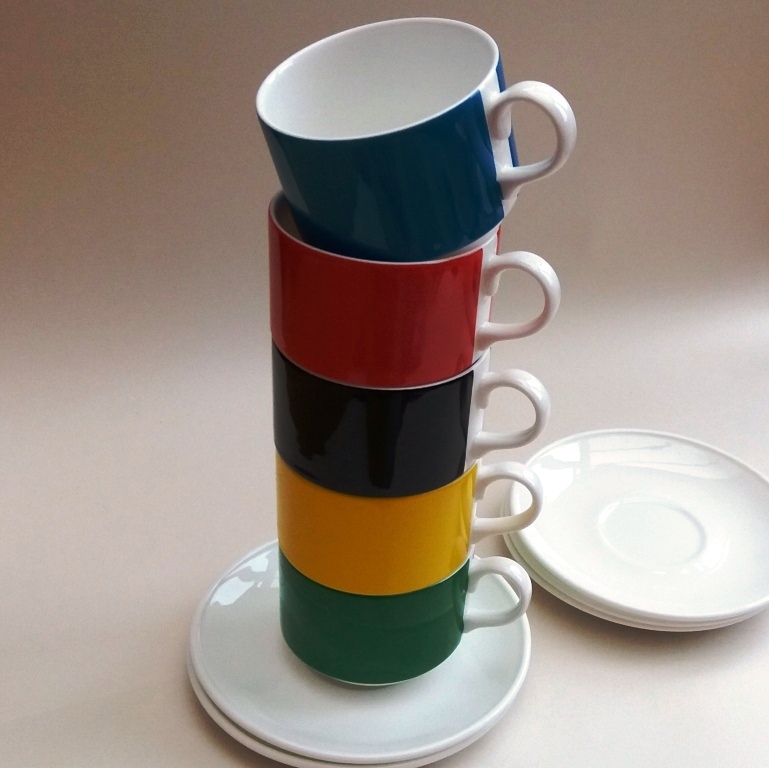 Each saucer is 150mm in diameter. Old school production. 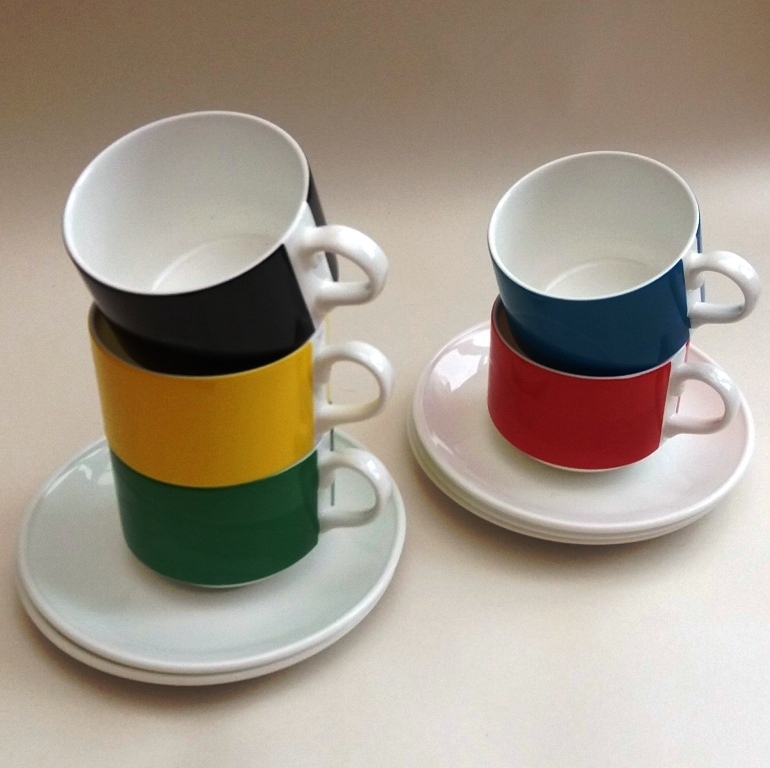 The cups are screen printed hand decorated and cooked in a kiln in the heart of the UK pottery industry; Stoke-on-Trent. Consequently the finish is glossy, shiney and resplendent. Shouts vintage! 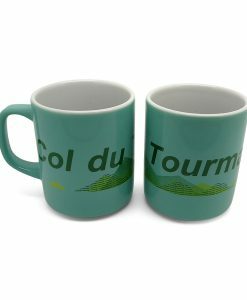 Therefore a wonderful cycling gift for the coffee connoisseur.